$5 beers, all styles (except barleywine & barrel aged) all day! $5 burgers, $5 beer brats! Growler hour all day! $12 fills of any style (except barleywine & barrel aged). This includes DeePah! We only do growler fills of DeePah on release day so this is the only chance, and a steal at only $12. The brewpub is open regular hours for the day (11am to midnight) and the parking lot party will be from noon to 10pm (last call in the parking lot at 9:30pm). We are releasing 4 beers at the party! Huge quantities of two row malt, combined with crystal and Munich malts, set the stage for this strong, highly bitter, hugely aromatic Double IPA. Between kettle additions and dry hops, a total of over 48.5 pounds of hops went into only 28 kegs of this beer! Hold on to your taste buds and enjoy responsibly; this beer is not for the faint of heart! This huge brew filled our mash tun to its absolute capacity with Thomas Fawcett and Sons Marris Otter malt. After a lengthy fermentation, we carefully aged this strong and flavorful beer for 3 months to allow time for the big bold flavors and aromas to mellow together. This strong, sipping beer is an indulgent once a year offering, released to celebrate our anniversary. Our First Anniversary Barleywine aged in a fresh oak barrel from Kō Hana Agricole Rum. Tons of rum and oak aroma and flavor were imparted to the beer as it aged in the beautifully crafted Black Swan Cooperage Barrel. Saturday – 2 Towns Ciderhouse will be back in the market sampling the new seasonal, The Dark Currant. If you haven’t tried this new cider from 2 Towns yet, you are missing out! 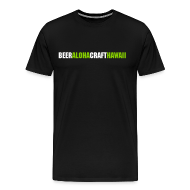 April 17th-23rd, Honolulu Beer Week! 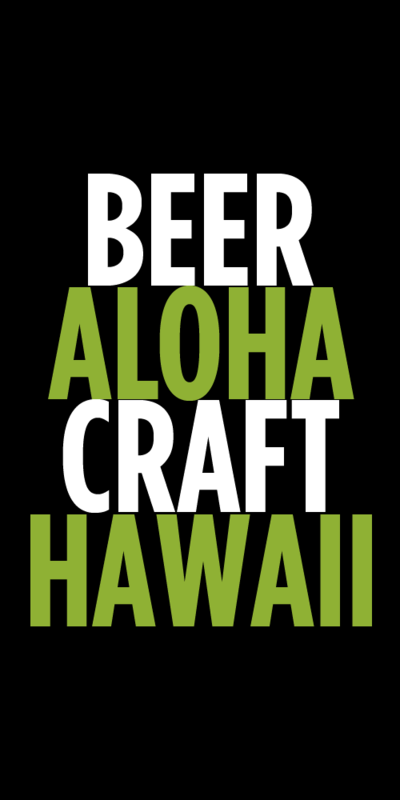 Featuring a Green Flash and Alpine Brewing Tap Takeover! Southern Cross by Hawaii Nui Brewing. It’s a Belgian style double red ale. On tap. We will be recieving our new amber glass 1/2 gallon growlers on Wednesday. Hydro Flasks currently available. First official beer tasting on Friday, April 1st. No fooling! Special guest expert and 7 Belgian beers. 3pm-6pm. Special discounts on featured beers. Foodland Ewa Beach and Foodland Kaneohe. Big Island Brewhaus will be closed Sunday for Easter. This coming week we’ll be tapping Monk’s Brunch. Tuesday’s Original Music Open Mic is a fundraiser for Tamaya Scott. We’ve got our weekly Open Mic on Thursday. Friday, April 1st is our 2nd Annual Superhero Costume Party and Dagan Bernstein will be on stage.